WiFi has to be one of the handiest, frequently used and essential parts of utilizing a computer but at times it can be the most irking. Slow internet, inability to stream videos online, bad reception and failure of devices to connect to routers are just but a few of the scores of problems experienced by users with their home networks and wireless connections. Setting up and keeping a home router running is relatively complicated and requires more than average tech knowledge. Yes, I know this is something the average router user doesn't wish to hear. But lucky we are, as there are several remedies for dealing with this menace and how to improve WiFi signal shouldn't be a headache anymore. To troubleshoot your network's wireless performance and know how to boost WiFi signal, you first have to understand what your router is and how it works. According to the Oxford dictionary, a router is a device that forwards data packets to the appropriate parts of a computer. That is how it can be defined in simple terms. A router is connected to at least two networks, usually LANs or WANs or a LAN and IPS's network. Routers are situated where two or more networks connect. This is called a gateway. A router has two basic functions, packaging data between networks and sharing out the incoming internet connection with all devices connected to it on the home network. Basically, a router is the cardinal point in a home network, making connections between your relatively minute private networks and the immense internet. As you can see that's a whole load of complex tasks for such a small device to perform. Many routers manage these tasks within reasonable parameters most of the time. Due to our internet needs, we need complete and flawless access and when a router acts up, we forget how well they served us for weeks or months on end. Routers act up occasionally, it's normal. Bridges between the internet and your home user's local area network or LAN are the opportune stemming points for a myriad of problems that plaque the router. When routers fail, you have to deal with inability to browse, sporadic connection drops, weak WiFi signal strength and dead spots. Even though you may wince at the thought of personally troubleshooting your dysfunctional wireless network, you are very much capable. You just need to be armed with the right knowledge and tools. You have to put two things into consideration, coverage and speed. A WiFi network has to have robust speed and coverage. Armed with the following skills, you need not worry on how to boost WiFi signal. Of course you cannot expect your WiFi to function flawlessly while running it on old technology. The best way to ensure proper running of your network is by using up-to-date hardware. This will make it fast and reliable. This can be done by changing the router's broadcast mode. Try using the new 802.11n standard broadcast if your router can support it in place of 802.11a/b/g. The new 802.11n offers a much larger range and signal strength. You need to note that you will need a wireless N card in your router and computer to harness its full speed boost. Routers need to be placed in the open for best results, clear from any wall and/or obstructions. The antennas should be pointed vertically and the router elevated as high as possible for effective broadcast range. Also on how to how to boost WiFi signal, ensure the router is placed in the middle of the house for better coverage. Distance too can be an issue in boosting WiFi signal. Don't be too far away from your router. A wireless router has a range of about 30.5 meters. If the signal bounces around too many corners to reach your router, there will be an issue with the signal. This is however taken care of in new routers, fitted with the beam forming technology. Routers shouldn't be placed close to metals; this includes metal shelving, filling cabinets and similar objects. This is an issue for those who live in apartments and have neighbors who have routers too. This may interfere with your WiFi signal booster and cause the signal to degrade. Know how to boost WiFi signal in such areas .There are tools like WiFi Stumbler and WiFi analyzer that help us find the perfect Channel with least interference so that you can best browse uninterruptedly. It is not only other routers that are to blame for bringing about interference; there are appliances with comparatively high frequency (2.4GHz) that can cause interruption too. These include cordless phones, microwaves, baby monitors, security alarms, TV remotes and automatic garage door openers. A wireless network analyzer can help you track down the source of interference. Ever wondered why your WiFi signal strength is always low? It could be thieves, tapping into your WiFi system causing an overload and hence low or no signals. This can land you in trouble with the law in case the thief decides to do something ropy with your WiFi network as you will be considered responsible for what it’s used for. You need to have a good password so that your WiFi system cannot be easily hacked into. 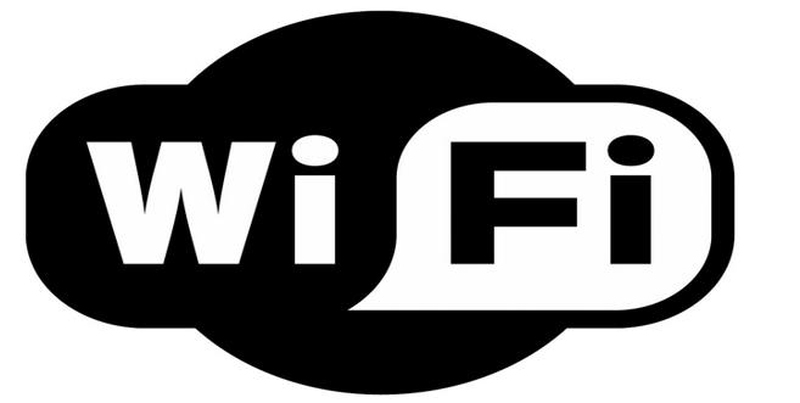 A WPA can guarantee your WiFi security. You can change your router's Xmit power but you risk damage to your router as this may cause it to overheat. To increase its transmitted power, you need to check the router's configuration and documentation. This is a very risky way on how to boost WiFi signal but it delivers. For those who game online, video chat, torrent files or visit Netflix regularly, they may be hogging bandwidth and making the internet unbearably slow for everyone else. You need not worry because there's something called Quality of service to rule bandwidth hogs. With this service you can prioritize a certain task, for example playing video games online over others, let's say torrenting files. Antennas are useful WiFi signal boosters. You are able to unscrew the broadcast antenna from your router and replace it with a more effective one. You should however note that this is not a feature compatible with all routers but most of them allow it. If by now your router still isn’t responsive to the remedies offered, you can convert an old wireless router to function as a repeater. A repeater is used to increase and boost the range of your signal by bouncing or repeating the signal over a great distance. It is basically a piece of hardware that acts like a wireless network expander. It (repeater) takes the signal from your wireless device and boosts it. Owing to its efficiency, repeaters are increasingly becoming common and are available in local computer shops. DIY (do it yourself) are famous for their solutions in home problems. They have a simple do it yourself trick that can extend your WiFi range. Boosting Wifi signal has never been easier. You can use a simple windsurfer tin foil hack or an old beer can for the trick. You are required to carefully fold the sheets of tin foil into a parabola like shape to achieve this extended Wifi signal. This is a simple trick that takes just a few minutes and it yields quick and desirable results. Even though they won’t be necessarily mind blowing, you will still be able to get a lot more out of your WiFi network without having to struggle much. This may sound unconventional but it works magic for your WiFi range. This an insight onhow to improve WiFi signals through hacking. You will need to hack and install in your router the DD-WRT firm ware. This will give you the option to boost the router’s transmitting power plus it comes with a host of security enhancements much needed for your router. This is a risky move as it is dangerous for your router but most routers (the best ones) are capable of handling increase of up to 70Mw without acting up. By hacking your router’s signal, you can access your network while far away. A wireless powerline adapter is used to relay WiFi to parts of your house that the router can’t or struggles to reach. This it does by making use of the internal wiring in your house. They are also referred to as home plugs. A home plug can create a WiFi hotspot wherever you have a free plug to socket. They are expensive but they deliver immensely. Ensure you are using up to date and top notch routers for the best WiFi experience. Avoid placing your router close to obstacles. WiFi works best in an open setting. Secure your WiFi with passwords that can’t be decrypted. Invest in decent security applications. Replace your router antennas with ones that have better connectivity. Don’t discard your old router; it can still serve as your repeater. DIY have proven instrumental with their genius invention. For hotspots everywhere you like, a wireless powerline adapter is a must have. Exercise some basic hacking skills to help your router to perform superbly. Increasing the transmitting power is a touch of magic to your router. You want to know how to boost WiFi signal in an apartment where neighbours have routers too? Steer clear of interference by letting WiFi Stumbler choose the perfect channel. Server responsed at: 04/23/2019 4 a.m.